The first time I saw Monika Weiss' work was when she performed “Elytron” at the Chelsea Art Museum in March 2003. For several hours she was immersed in an octagonal baptismal font filled with black paint and water, from which she emerged from time to time. I was captivated by the movements of her body, curled in a fetal position inside the font, and from time to time, rolling or crawling across a vast expanse of gallery floor, covered with paper. Her performative work is concerned with both duration and endurance. When I later visited her studio, we talked about the potential influence of Catholicism on her work and the idea of baptism. We spoke of an earlier project that included a font of overflowing motor oil and the metaphor for pain present in her works, such as the symbolic and actual suffering and the tremendous effort required to perform “Elytron”. I noticed in her projects the ongoing relationship between her performative installations and the act of drawing. 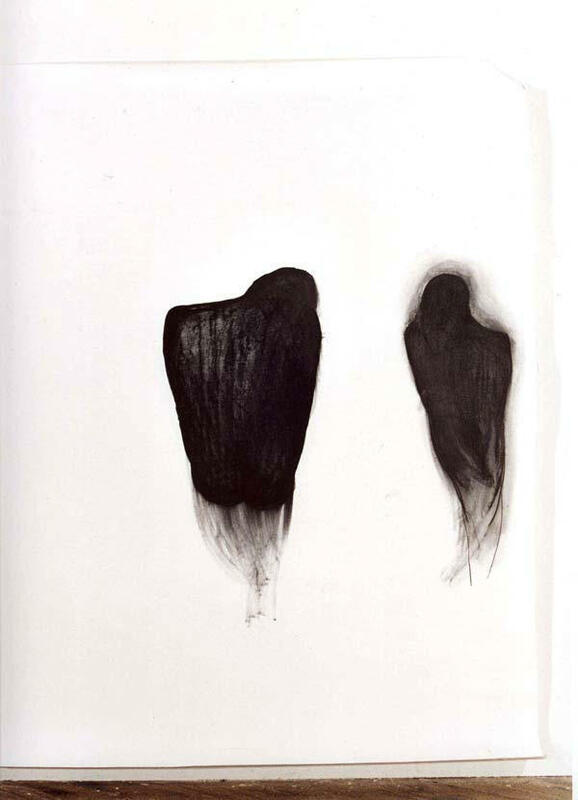 Weiss makes drawings with her body, leaving a trail or trace of her movements. The charcoal marks speak of the body stretching across the paper. 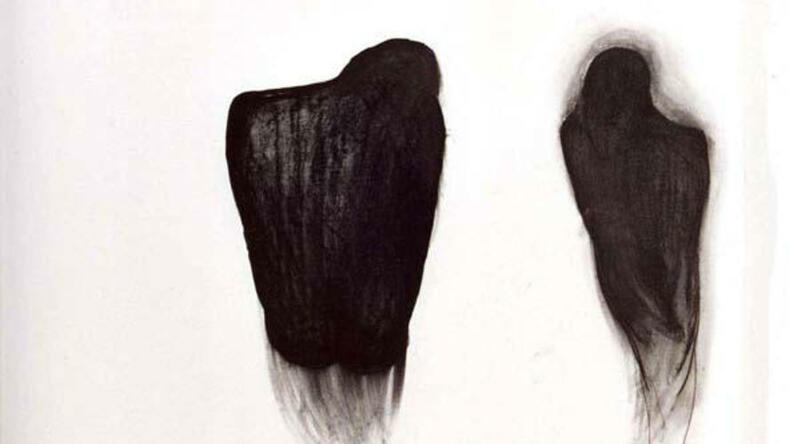 “Skulenie” and “Dwie” are two large scale drawings in a series of representations of her body in a curled-up or standing positions, represented in a very darkened, abstracted way, calling to mind an evidence of circularity in the way she works, and the presence of the living body of the artist.